This piece originally ran on the blog of CleanEdison, a renewable energy training company based in New York. It is reprinted here. Okay, so you've got some equipment, you’ve got some know-how and you are ready to get out there and become a solar installer. Sounds easy enough, I mean everyone is talking about it, right? Well yes, but before you start going onto people’s roofs and drawing high-voltage DC electricity from the sun, you should know the common mistakes that others (many others) have made before you. This is by no means a list of all the questions you will have, or problems you will run into, but it should help dispel some misconceptions you may have about solar energy. I learned that solar PV panels lose their efficiency as they get hotter, but I also know that solar thermal collectors use water heated by the sun for use in the home. I could just use the water to simultaneously cool the PV panels and then get heated for hot water use, I’m a genius! I’m just going to install a small stand-alone system to power one or two things, like the air conditioning and refrigerator. It seems like the competition is overcharging for installations, I just checked the prices of solar panels and they’re dropping like stones. The truth is that, while the costs of panels themselves have dropped tremendously in recent years, the installation costs have only dropped slightly. There are plenty of other materials that go into a solar installation that you will need (and be expected to supply). The racking, DC disconnects, heavy gauge wiring and other BOS (balance of system) hardware can add up to more than the panels themselves – making the real installation costs close to where you notice the competition (and don’t forget about your labor). 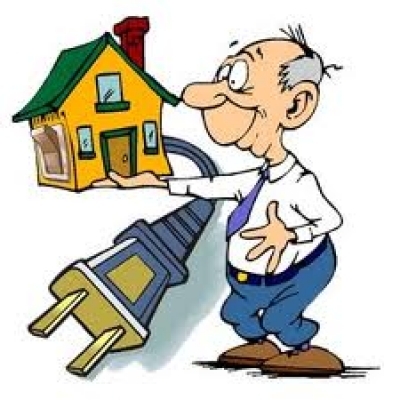 These are simply expenses that you cannot overlook, solar PV systems are dangerous and the safety of yourself and the home owners could be compromised if you buy cheap or faulty auxiliary components. Wait, What!? 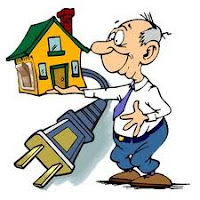 How is a 3 kilowatt system supposed to make a dent in a house that uses 600 kilowatts a month? Getting grid-tie approval sounds impossible. I’m just going to add more batteries to my system and switch back to the grid only when these get low. The approval process for grid-tied systems can be quite difficult (although the DOE is making it lowering it a priority), but the opportunity cost of purchasing batteries will be clear once you realize the upfront cost and lack of longevity. Most batteries only last a year and a half if they are routinely discharged to 50% or below. On the other hand, batteries that are connected to a hybrid inverter that keeps them float charged all the time while feeding excess power back to the grid can last upwards of 20 years. Hopefully this will help future installers avoid the mistakes and misconceptions of many before them. Of course, with the proper solar training, these mistakes would have been remedied before you ever left the classroom. In any case, it is a good idea to go out with an experienced installer for the first several installations to really cement your knowledge and skills.